HEDGES out of rosemary? Purple cabbage interspersed with croton shrubs? Don’t be surprised. People seem to be looking for something healthy— and something different— in the landscaping and gardening scene. Vegetable gardening, a long-term trend, continues to be popular. 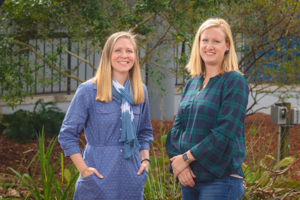 It drew 124,465 page views at the University of Florida Institute of Food and Agricultural Sciences (UF/IFAS) Extension website in 2017, ranking second place to an article about diversity in the workplace. But in 2017, homeowners were more likely to have foodscapes that mix plants like roses with collard greens and spinach. Or, grow their own lettuces and tomatoes hydroponically. In 2018, that trend is expected to continue. “The big thing for people, in general, is wellness. They have a concern with how healthy their food is,” explains Linda Adams, chief operations officer for the Orlando-based Florida Nursery, Growers and Landscape Association (FNGLA). Thanks to LED, or light-emitting diode lighting, homeowners are more likely to grow food outside and/or inside. Hence, the rise of kitchen gardens where fresh herbs are just a snip away. Or hydroponics, where homeowners-turned-growers can control what, if any, pesticides are used. There is a good reason: plants can absorb toxins, boost oxygen levels in the home, and reduce stress. Additionally, they are something to nurture. “People move a lot and plants are easy to move,” she says. A popular indoor trend is glass terrariums, which tend to be small and easier to grow. They don’t require much water; in fact, overwatering can kill them. Purple is the new trendy color, perhaps because of Pantone’s 2018 Color of the Year: ultraviolet. For health, think purple antioxidants or anthocyanins, that help fight cancer and more. Garden Media’s Garden Trends Report 2018 notes purple foods promote mental strength— and includes a list of purple plants to grow at home. Included are acai berries, beets, black raspberries, blackberries, blueberries, Goji berries, eggplant, plums, purple cabbage, purple carrots, and purple sweet potatoes. 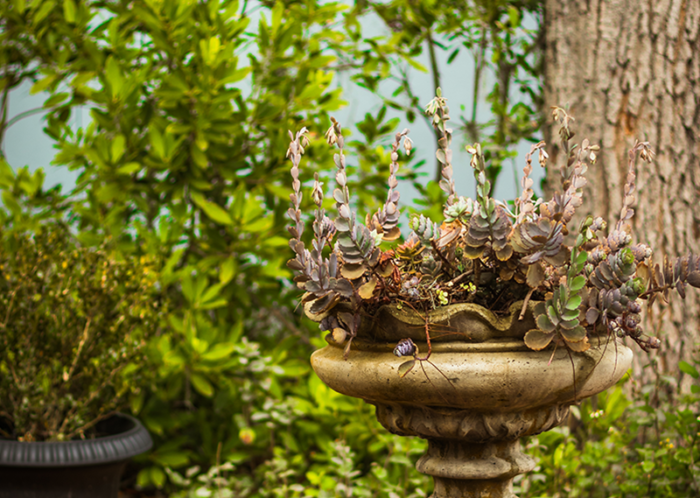 Consumers seem more conscious about water use, evidenced by a trend towards more Florida-Friendly LandscapingTM (FFL) program principles, as well as succulent plant dishes. The succulent plants, most notably the cactus, have fleshy thick leaves and don’t require much water. They also tend to be small. Other examples include aloe vera, happy bean, elephant bush, blue chalk sticks, and tiger’s jaw. Julie Schelb, the Florida-Friendly Landscaping coordinator in Bartow, sees an interest in the FFL concepts, which include proper fertilization, mulch, managing pests responsibly, recycling yard waste, reducing stormwater runoff and protecting the waterfront. Julie Schelb, the Florida-Friendly Landscaping coordinator in Bartow (left), and Anne Yasalonis, a residential horticulture agent/master gardener coordinator with UF/IFAS Extension in Polk County. FFL entails diversity with trees, shrubs, and groundcover— with every plant in the right place where it has adequate sun, shade, and room to grow to full size. Additionally, it should be drought tolerant and appropriate for the area’s hardiness zone (in Polk County that’s 9b, with average annual extreme temperatures dipping as low as 25 degrees Fahrenheit). More information is available through The Florida Friendly Landscaping Guide to Plant Selection & Landscape Design, available in print or online. For a quick start, there is another short list for Polk County. UF/IFAS offers some free classes on topics like “Native Plants in the Home Landscape,” from 5:30 to 6:30 p.m. Jan. 25 at Winter Haven Public Library and “Choosing the Right Plant, Right Place for Your Yard,” from 10 to 11 a.m. Feb. 1 at Mackay Gardens and Lakeside Preserve. “Backyard Composting” is offered from 6:30 to 7:30 p.m. Feb. 8 at Bartow Public Library. When it comes to the lawn, some people seem to be questioning a popular old standby: St. Augustinegrass. The UF/IFAS Electronic Data Information Source (EDIS) website, which had 7.4 million views in 2017, shows high traffic to its web pages for St. Augustine, Bahia, and Zoysiagrass, with all three included in the top 10 pages for 2017. The page views were 43,539, 43,258 and 38,464, respectively. Some people are ditching the grass for ground covers like Asiatic jasmine, which grows in the full sun and shade, or perennial peanut, a full sun option commonly used on rights of way. Another alternative is Mondo grass, which comes in tall or dwarf varieties that look like grass, grow in the shade, and don’t need mowing. “A lot of people have issues with lawns,” concedes Yasalonis. Whatever you choose to plant, you’ll boost your odds of success by following best management practices. The Extension Service also receives a fair amount of inquiries about pests. It’s better to find out what it is, and whether a pesticide spray is needed, instead of reaching for the spray, according to Yasalonis. “We’re always here to help,” she adds. Inquiries should be directed to the Master Gardener Plant Clinic at (863) 519-1057.